Please complete the Practice Registration Form with as much information as possible. If you have not already done so please print off the Acknowledgement and Signature Form and have each physician sign and upload it at the bottom of this page. Supplies on all new accounts will be shipped out the same day if the order is in before 1:00pm CT via overnight express shipping. If paper requisitions are requested those will be shipped out along with all new account supplies the following business day express overnight in order to allow for time to pre-print paper requisitions. Please NOTE supplies will be shipped to arrive at any time the day after they are shipped between 9:00am and 3:00pm to the practice. Print the Acknowledgement and Signature Form. 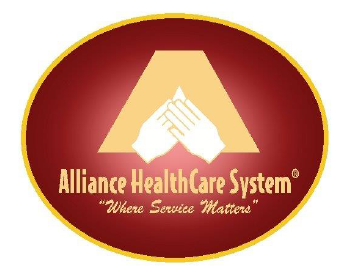 Alliance Healthcare System can only accept specimens from patients who are insured by Cigna or United Health Care. Yes No, the collector has a different phone number. Yes No, reports are handled differently. Yes, ship supplies to the practice address. No, please ship to a different address.